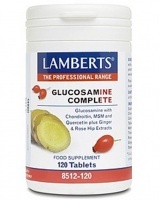 Glucosamine has been widely used to help alleviate the symptoms of arthritic joints. The health supplements below represent the highest quality available, manufactured to the highest standards from the best ingredients available. BioCare Biomulsiion JointGuard. An emulsified pure fish oil supplement from south pacific anchovies with glucosamine hydrochloride plus vitamin E to aid joints. 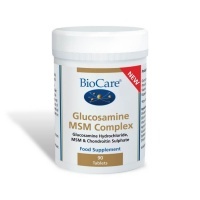 BioCare Glucosamine helps fluidity in the joints, connective tissue, ligaments & tendons. 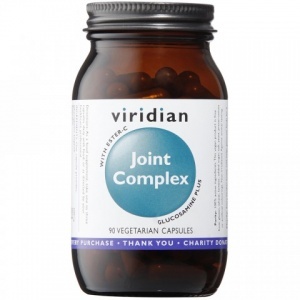 800mg of glucosamine hydrochloride per capsule plus vitamin C & magnesium. 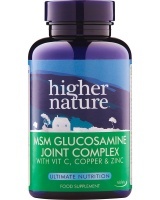 Higher Nature MSM Glucosamine Joint Complex, Vitamin C & other nutrients to help maintain flexible muscles & joints. 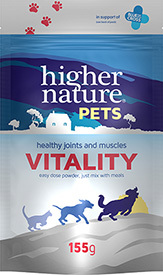 Higher Nature Vegetarian 83% pure Glucosamine Hydrochloride has more Glucosamine per gram than Glucosamine sulphate. 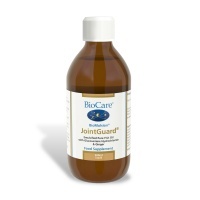 Helps maintain joint & cartilage function. A complete formula to keep your cats and dogs flexible and active. 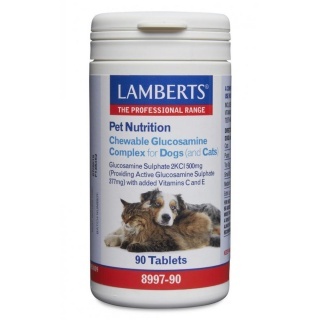 A unique combination of ingredients; glucosamine sulphate, vitamins C and E. An ideal supplement for dogs, so they receive these important nutrients, whatever their age. 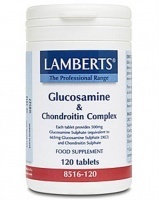 Lamberts Glucosamine & Chondroitin Complex - High potency formula of glucosamine and chondroitin to repair cartilage and keep fluidity for more flexibility. 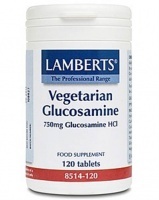 Lamberts Vegetarian Glucosamine Hydrochloride, Uses: Joint supplement for vegetarians. 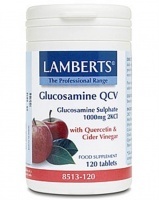 Lamberts Glucosamine QCV, A unique bone health supplement providing 1000mg glucosamine sulphate with added advantage of cider vinegar and quercetin. 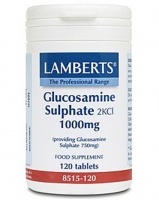 Lamberts Glucosamine Sulphate, Uses: essential for maintaining healthy cartilage, the smooth tissue that lines joints. 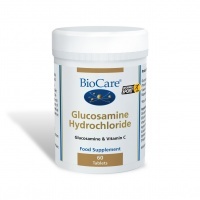 Shellfish-free Glucosamine HCl for components of cartilage. Provides the raw material for the production of cartilage and collagen. Raw material for cartilage. Helps alleviate joint pain.